Record Description Limonite or Yellow Ochre is present at many if not all mineralised faults in the Pennines and elsewhere. 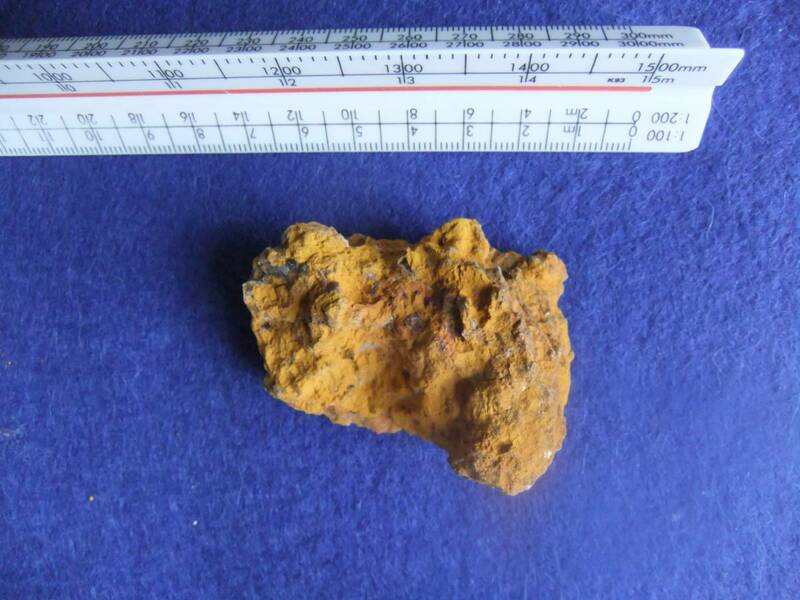 Limonite also occurs as Bog Iron Ore. Alteration product of other iron minerals. Additional Notes Yellow ochre and haematite, which provides a red-brown colour, both being ores of iron, were used as a pigment from the Late Palaeolithic onwards. The brownish colour of the limestone in the vicinity of lead veins is due to iron minerals. Haematite nodules have been recorded with lithic scatters of Early Mesolithic Age in Teesdale. Image 1 Description Limonite from Orgate Scar.